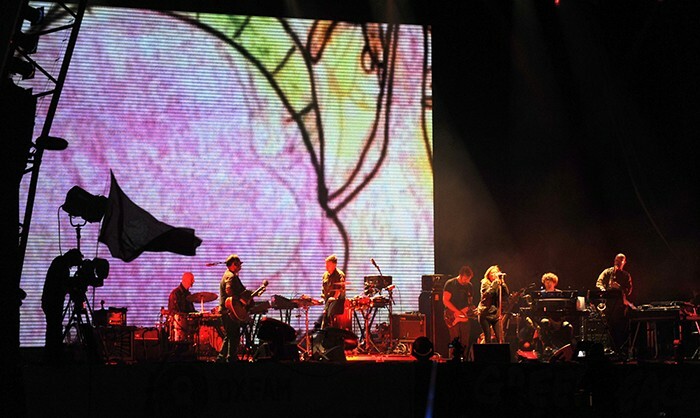 West London rental company Entec Sound & Light supplied a specials package to lighting designer Tony Austin for the latest tour by Portishead, which followed up on shows earlier in the year by the enigmatic and popular band from Bristol. This most recent series of gigs culminated with their Friday night headline slot on The Other Stage at the 2013 Glastonbury Festival of Contemporary Performing Arts, a highly acclaimed performance that was preceded by warm-up shows in Scandinavia and The Netherlands. 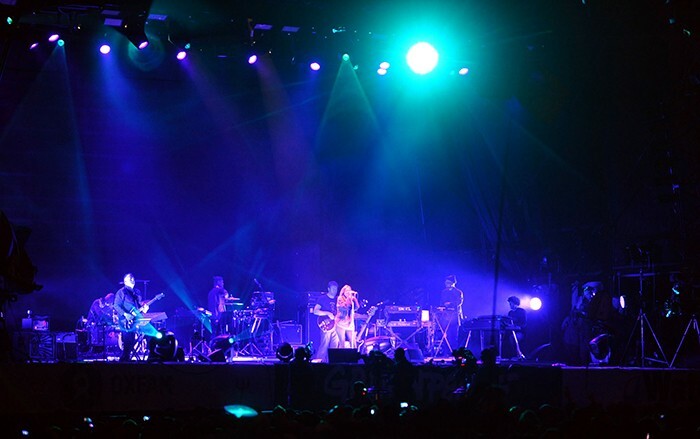 Entec’s Noreen O’Riordan comments: “Portishead are great motivators of creativity and their willingness to provide the very best performance for their audience rubs off on the production. I particularly enjoy working with Tony Austin. He interprets his needs very well and focuses in fine detail on things normally taken for granted, which makes life more fun and interesting”. The lighting package from Entec comprised eight Vari*Lite V*L3000s, 14 Robe LEDWash 600s, four 5kW Fresnels and ten LED stage bars. These were placed all around the band on the deck to get some lower level illumination underneath them, particularly for the camera shots at Glastonbury which was televised live. Ten of the LEDWash 600s and four of the V*L3000s were positioned directly behind the band. The other V*Ls were placed along the front of the stage and around the downstage edges for front and cross light. The four 5kW Fresnels were placed two either side of the stage, together with one LEDWash 600 per side on a Manfrotto stand for some nice fat shafts of sift light coming in from the sides. The Stage Bars were on the corners of each riser and in front of vocalist Beth Gibbons and guitarist Adrian Utley on the floor. Sixteen ETC Source Four profiles were on the overhead rig spec, which were supplied by the local promoter in each case as part of the house rig rider. For control, Austin used a grandMA full size and an Avolites Pearl – all the floor elements were all run from the Pearl, while the house’ rig would be hooked into the grandMA. This was the quickest and most flexible solution. The show also included some spectacular video on an upstage screen, created and run by John Minton, with whom Austin worked closely to craft the show’s elegant visuals. For Glastonbury they had a particular piece of playback video showing Prime Minister David Cameron, which required some red eyes. O’Riordan sourced two of Robe’s new Pointe multi-purpose fixtures which were set up behind the LED screens, narrowed right down and lined up to shoot through the screen at the appropriate point, which got a great reaction from the massive crowds.